For eons, Indian has held the bastion of being one of the most inspiring destinations of the world. This is hardly surprising, given the wonders that exist in the large span within the length and breadth of the country and other nations in the subcontinent. Great travellers like Fa Hein and Ibn Batuta have sung praises of the diversity of the nation, making that the strongest hook for travellers, eversince. From a tapestry of bright shops flanking crowded markets to lonely hilltop shrines and monasteries, from luxury hotels pegged against the simple living of villages, the number of experiences is nothing less than soul enriching. We, at Indo Asia Tours, have created a near exhaustive list of itineraries and experiences that will are sure to enthrall. And the process of new discoveries never stops. Our team is spread across the regions, always looking for exciting and fresh updates to enrich the existing plans or find new hidden places for you to discover. A major part of these teams is to also find some of the most unique accommodations that offer a restful pad as well as add a local dimension to the trips, with the best of services. With a robust history of more than 5000 years, rise and fall of kingdoms and centuries of religious, topographical and societal fabric under development, India and the subcontinent offers a plethora of options for travellers. We have broken these down by themes, so that one can assimilate the vast sprawl of experiences with ease and leaves India with a fine understanding of its many hues. The broad themes include itineraries that come under Cultural Core, Jungle Lore, Explore More, Retreats Lure and Tying the Knot. India and the subcontinent is laden with an eloquent narrative of a rich and vibrant culture. These journeys promise to sweep you away in a world of traditional dances, music, festivals, food and unimaginably unique local practices. Unravel the beauty of the cultural mélange that drapes the country. An ethereal world unfolds as you step into the sun-scorched palaces and ancient forts perched on impregnable hilltops of India, still rife with tales of valour, sacrifice and opulence. The once remarkably prosperous structures still live to tell the tale of the land of the most sumptuous luxury and rich with possibilities. Fittingly, one of the most striking backdrops to any destination is when there is a festival on the anvil. A heady mix of colours, mirth and celebration surround you. No better time to see a place, other than when it adorns a celebratory vibe. With our cultural journeys, you get a peek into India’s most striking festivals. Meander through the several lifelines of the Indian topography, bobbing in luxurious yachts and boats. The capillary-like network of rivers of India gives travellers the opportunity to view a unique landscape and life around it. Honoring Gods, Gurus and historical figures resonates in every beat of many Indians. No wonder, religious destinations spanning all communities are an insight into the social diversity of the country. Ancient temples, historic mosques, centuries old churches, synagogues and countless shrines can keep you engaged for days together. The ability to customize tours that suit just what the traveller needs makes us offer a platter of special journeys. Think golf, wellness, private jet tours and anything that your heart desires and we at Indo Asia will surprise you with unlimited options. Be suspended in the otherworldly aura of dense jungles, where you are only a roar away from witnessing their spectacular inhabitants. The forests of the Indian subcontinent are home to a teeming diversity of plant and animal life. Being one with nature is never too formidable here. A robust list of jungles that allow tiger, rhino and elephant sightings makes India one of the most loved wildlife destinations in the world. From the one horned rhino sighting in Kaziranga to Ranthambore and Panna’s lure of seeing the tiger, the National Parks and Sanctuaries of India offer ample opportunities. The Asian elephant is yet another draw that takes travellers in the heart of thick forests. To get mesmerized by the Avian life of Indian birding hot spots, you can head in the direction of Bharatpur in Rajasthan, Pulicat Lake in South East India, Namdapha in the North East region and many more. In the company of knowledgeable guides and experts, you will discover species and habits in abundance. Being one of the 12 most bio-diverse regions of the world, a mix of rainforest, tropical and semi deciduous covers makes for a large part of the Indian topography. The wonder of Sundarbans, cold desert national parks and the arresting beauty of the less treaded jungles of Chhattisgarh add to the list of soul satiating jungles of the Indian subcontinent. A collection of adrenalin pumping activities and explorations await. Be it the challenging cold desert scape of Ladakh or navigating the white frothy rapids of countless rivers, you are never too far from adventure. With safety as top priority, dive into activities like trekking, rafting, ziplining, surfing, scuba diving and more. There a number of well-trained experts in all fields – we only tie up with the best. Since India is home to the world’s highest known peak, Mount Everest, it is no wonder that the lower and upper Himalayan Range of mountains poses a demanding test of fitness and nerves for trekking enthusiasts. From arduous treks to easy hikes, one can choose from a variety of levels of challenges. Trained professionals accompany you to heights that you would have never imagined reaching. Rugged and dusty curves have an unrelentingly lure, as do the green swaying fields, waves lashing on the shoreline and small hamlets along the countryside. This, and much more gives you company on the many cycling and biking trails of India and the neighbouring nations. Steel grey highways and off the beaten path tracks are sure to take a rider on a hypnotic journey. All those are struck by wanderlust imagine living the jungle life in complete harmony with nature. The closest that one can get to this is through the many safaris that are organised in the jungles of India. From the frozen summits of Himalayas to the tip of Kanyakumari, there are hundreds of National Parks and sanctuaries that allow you to get a peek of the world within thick forests by well-managed safaris. Nothing can match the exploration on foot – whether it’s the bustle of Old Delhi, a walk in the coffee plantations of Chikamagalur or the sprawl of weathered ruins of Hampi. Walking trails by Indo Asia are popular with those who want to take in the country slowly, absorbing all dimensions of the diverse nuances that the country presents. A getaway isn’t truly one if it does not hold the promise of a transformational escape – whether it is for the mind, body or the soul. The solution lies in slipping into complete harmony with yourself. Gift yourself the miracle of renewal at some of the most indulgent spas in the idyllic locations of the Indian Subcontinent. In India’s wellness capital, Kerala, treatments are mostly rooted in the thousands of years old traditional Ayurveda ethos and complemented by intense Yogic healing therapies – all under meticulous supervision and guidance. Even the food that you consume during this period is customized to the treatment and body type. 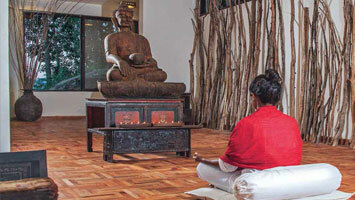 These are further integrated with International practices, holistic massage treatments, personalized fitness programmes and a blend of unique contemporary therapies that are sure to help you unwind and reconnect with yourself. To feel alive is to arrive at the perfect mix wellness and serenity. Immersion in Ayurveda, Yoga and healing practices of the mystical land of India are nothing short of paradisiacal, especially if they are wedged at the fringes of a blue ocean. Add to that the wonders of the Far East and the contemporary therapies of the West and you have a wellness quotient that is unsurpassable. 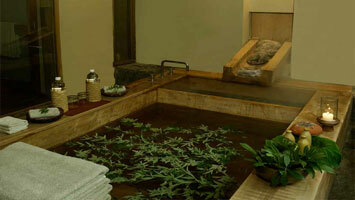 Designed to revitalize and rejuvenate, spa retreats symbolize complete unanimity of the body, mind and soul. Everyone needs a break from the labyrinth of urban development, to seamlessly sync the three elements of life. City based spas offer a space to bridge the gap that the daily bustle creates in our mind, body and soul. Drawing inspiration from the majestic land of ancient customs and rituals, city spas of India, Bhutan, Sri Lanka and Nepal give you the opportunity to achieve a divine state of well being without traversing long distances. The secret symphony of life gets tuned right in your backyard. Let there be no distraction to your transformation – that is the mantra that the destination retreats imbibe. Here, your spiritual journey starts at a striking distance from your environment. It could be in the midst of mountains or at the edge of a sea, but you will have to make that commitment to travel for the sake of your inner peace. Once you have arrived here, let the treatments align to your needs. This is where you will find harmony between your physical and the mental realms. Sometimes the sound of silence is stronger than a decibel of any magnitude. Such is the tranquility that the mountains of India encompass. Deep from the recesses of the lush valleys emanates a sense of peace that takes you into its fold. Such locations make for an ideal spa retreat to renew a connection with yourself. From the towering Himalayan peaks to the low Nilgiri stacks of mountains, lose yourself to the power of ancient Ayurvedic practices, Yoga and meditation for varied immersive experiences at these spa retreats. Within the sprawl of holistic treatments that the Indian subcontinent offers, the specialty spas draw your attention to one dominant aspect of a retreat. Be it Yoga, Ayurveda, Organic Cuisine or any other. While the union of these therapies and elements can be customized and integrated for guests, the key treatment is hinged on decades of experience and expertise of a single kind at these specialty spas. Explore the intensity of the treatments for a deep and meaningful effect on your spiritual being. 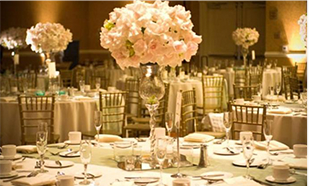 Your big day comes alive with incomparable locations and meticulously planned details. 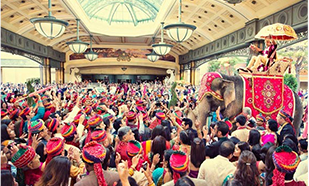 The grand Indian wedding can be replicated for you with ease, with all the nuances thrown in. India’s beaches, backwaters, palaces or mountaintops become the dazzling backdrop to weddings, as efficient planning teams extract any pressure of arrangements. India and the subcontinent has been an outstanding example of perfect honeymoon ideas – take the first steps into your married life in exotic locations and exquisite experiences. Incredible locations, exceptionally luxurious accommodations and a romantic natural setting is something you deserve for the first steps into your marriage during your honeymoon. With our service oriented and passionate teams, you can be rest assured that a honeymoon in India will be meticulously planned and will mark the beginning of a lifetime of happiness. A milestone as important as decades of married life deserves a remarkable celebration. We have just the innovative ideas to make this a fun-filled and memorable day that shadows the outstanding commitment and love between you and your partner. 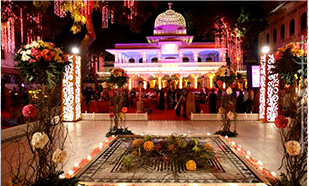 In this, we plug in traditional Indian ceremonies like Mehndi, Sahra Bandhi and the Baraat, for you to enjoy the spectacular aura of Indian weddings. Be it the combination of aqua marine waters with the golden sands, lush ambience of a thousand shades of green or the stunning heritage vibe of a palace, a dream destination for the backdrop of your wedding awaits. This comes with a team of professional and ingenious organizers who can conceptualize and execute everything to the. 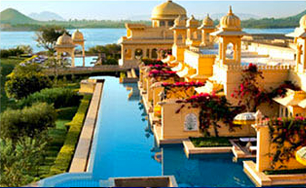 India’s vast landscape of hospitality offers unique and impressive accommodations in various budgets. These could be heritage bungalows, homes tucked away in tea plantations, villas by the beach or in-city starred hotels for your comfort. Our team ensures that an array of options is available for you to choose from. With our longstanding relationships with hotels and a personal brand across the country, even peak seasons are managed with ease. Constant feedback from our partners helps in identifying and resolving problems if any, and creating a firmer tie-up in the best properties of India. Below is the list of different categories that you can choose from. A handpicked portfolio of well curated hotels that have few rooms, but wow the travellers with their chic themes, personalized service and superior quality of amenities, have been specially chosen by the team for you. 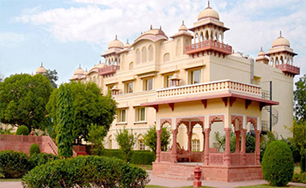 Home to a large number of palaces, forts and old bungalows, the ‘heritage’ themed hotels are able to transport travellers to thousands of years in the glorious past. 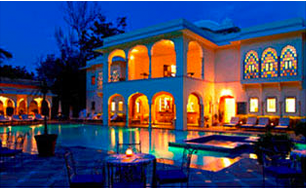 Think of yourself as nothing less than Kings and Queens while staying at a heritage property. With facilities, amenities and elite ambience unbound, luxury stays of India are created to pamper you with the quintessential Indian hospitality. Think multiple dining options, rooms and amenities like swimming pool, spa, gym and more. Be one with nature in the camp settings, both luxurious and basic. These hold the promise of stunning views, fresh air and an adventurous tinge to a holiday. Expect to stay at the edge of a river or in the thick of a dense forest, but not too far from luxury. Lodges allow the traveller to optimize the budget and yet stay in the comfort of a well-equipped hotel with ample amenities and facilities. Think all suitable amenities at hand and no dent to your pocket. The Indian Subcontinent scape is filled with many such options. Feel at home with the warm hospitality as well as ample personal space in actual homes of locals. There is no better way to be oriented to a destination, than to stay in a homestay. 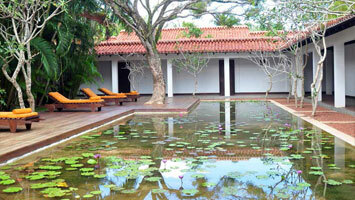 A dimension of homestays is sure to amp up your travel many folds. 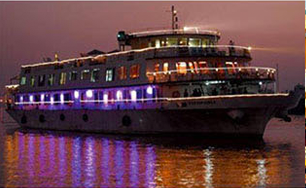 River cruises are a unique way of seeing India. These could be luxury yachts or even the floating houseboats that glide through reflective backwaters and lakes. Cruise on these architectural marvels for complete relaxation. 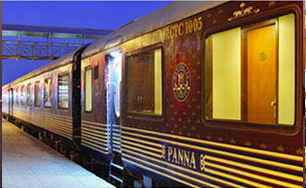 Spanning a specific region of the country, the luxury trains create the experience of luxury, but on wheels. This is a spectacular way of seeing India’s destinations at close quarters and be immersed in some ‘out of this world’ pampering.